Native Floridian Rev. Sheila Zellers founded Motivated By Love Ministries in 2000. She is a wife, a mother of two and a grandmother of five. Besides being all of that, she is an anointed and powerful prophetess, singer, songwriter with 7 albums, author of “Selahs From God” and an evangelist with an encouraging spirit. Having personally experienced sickness, defeat and abuses of many kinds in her life, Rev. Sheila has witnessed the resurrection power of Christ and is passionate about sharing it with others! She travels the United States and the World teaching others about Jesus and sharing the hope and restoration that comes through salvation. When she isn’t ministering the Word of God, praising Him with her music, or encouraging others she is spending time with her family. Rev. Sheila is very involved in many non profits locally and serves the SWFL Aglow International. Prepare yourself to receive words of wisdom as your heart is encouraged to seek His face! She prays you are all motivated by love! Her hope is that you open your hearts to receive more of Him! Rev. Sheila’s desire is for you to be all He created you to be for His glory! Motivated By Love TV Show’s hosted by Rev. Sheila Z are hope filled, encouraging, uplifting and Holy Spirit led!! As Rev. 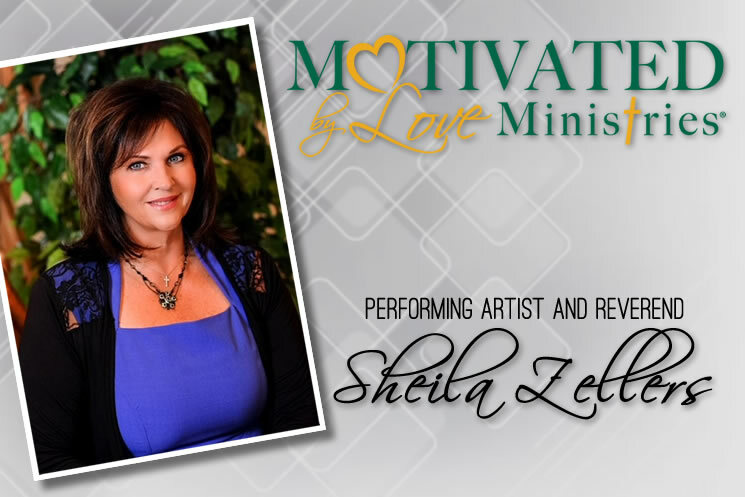 Sheila speaks nuggets of wisdom and shares the love of Jesus, her desire is for you to be motivated by His love! Prepare yourself to receive as she shares the abundant Love of Christ to the hopeless, hungry and hurting. As you open your heart and mind to Jesus He will begin the revival of the heart and restoration in your new life. He who has began a good work in you will complete it! !